Conditions of Use : Odd Bodkin Renaissance Shop, Inspired by History, Designed for You! This Acceptable Use Policy document, including the following list of Prohibited Activities, is an integral part of your agreement with Odd Bodkin Renaissance Shop . If you engage in any of the activities prohibited by this AUP document Odd Bodkin Renaissance Shop may suspend or terminate your account. Odd Bodkin Renaissance Shop Acceptable Use Policy (the "Policy") for Odd Bodkin Renaissance Shop's Services is designed to help protect Odd Bodkin Renaissance Shop , Odd Bodkin Renaissance Shop's customers and the Internet community in general from irresponsible or, in some cases, illegal activities. The Policy is a non-exclusive list of the actions prohibited by Odd Bodkin Renaissance Shop. Odd Bodkin Renaissance Shop reserves the right to modify the Policy at any time, effective upon posting at http://www.oddbodkin.com/shop. 2. Sending Unsolicited Bulk Email ("UBE", "spam"). The sending of any form of Unsolicited Bulk Email through Odd Bodkin Renaissance Shop's servers is prohibited. Likewise, the sending of UBE from another service provider advertizing a web site, email address or utilizing any resource hosted on Odd Bodkin Renaissance Shop's servers, is prohibited. Odd Bodkin Renaissance Shop's accounts or services may not be used to solicit customers from, or collect replies to, messages sent from another Internet Service Provider where those messages violate this Policy or that of the other provider. Collection of personal data. Using the Services to collect, or attempt to collect, personal information about third parties without their knowledge or consent. 3. Running Unconfirmed Mailing Lists. Subscribing email addresses to any mailing list without the express and verifiable permission of the email address owner is prohibited. All mailing lists run by Odd Bodkin Renaissance Shop's customers must be Closed-loop ("Confirmed Opt-in"). The subscription confirmation message received from each address owner must be kept on file for the duration of the existence of the mailing list. 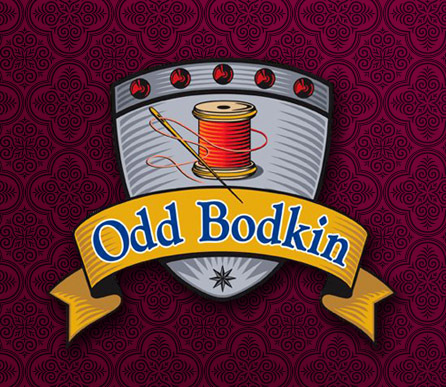 Purchasing lists of email addresses from 3rd parties for mailing to from any Odd Bodkin Renaissance Shop-hosted domain, or referencing any Odd Bodkin Renaissance Shop account, is prohibited. 5. 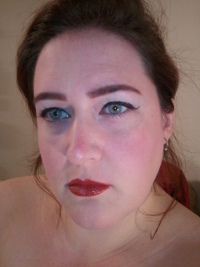 Operating an account on behalf of, or in connection with, or reselling any service to, persons or persons listed in/on Odd Bodkin Renaissance Shop . 8. Unauthorized access, alteration, destruction, or any attempt thereof, of any information of any Odd Bodkin Renaissance Shop's customers or end-users by any means or device. 9. Knowingly engage in any activities designed to harass, or that will cause a denial-of-service (e.g., synchronized number sequence attacks) to any other user whether on the Odd Bodkin Renaissance Shop network or on another providers network.